Cosmoji App Data & Review - Stickers - Apps Rankings! From the creators of Sky Guide come the most charming emojis this side of Saturn. 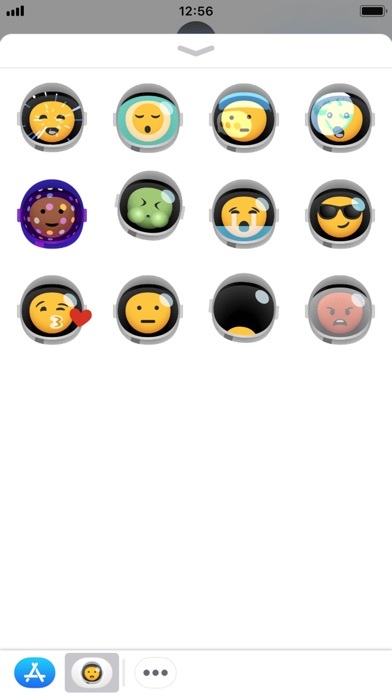 Cosmoji are fully animated stickers that will take your texting to the next level—into orbit! The applications Cosmoji was published in the category Stickers on 2017-09-21 and was developed by Fifth Star Labs LLC. The file size is 3.25 MB. The current version is 1.0 and works well on 10.0 and high ios versions. Do you like Cosmoji applications? Please share!